What is SEO and Why you need SEO? SEO is an acronym for “search engine optimization” or “search engine optimizer”. 70% of people don’t scroll beyond the first page of Google—your aim is to be as high up in Google’s Rankings as possible. SEO Will Help customers find Your Website. Optimise your web page so that it is found, and indexed by search engines. SEO Is A Long-Term Strategy – It doesn’t happen overnight. SEO is not just a high ranking. It is all of the things to do your website to help it rank higher up the organic search lists. 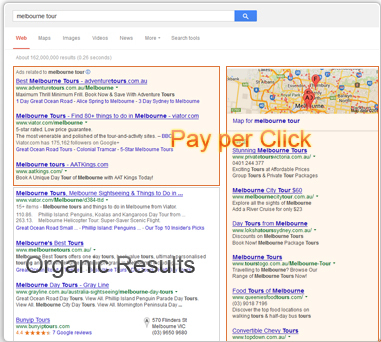 85% of clicks on google.com are from the Organic results. in body, alt, images, header and tags. The minimum term will be 6 months per project, after that the project defaults to a month by month basis. 30 days notice in advance after the initial 6 month contract is required to terminate SEO service. cPanel, FTP and back end system access will be required by our team to make the required updates. All off page recommendations must be implemented by the customer upon notice, in order to maximise the SEO service. If Social Media services and or extra webpages are required, this will incur an extra fee.